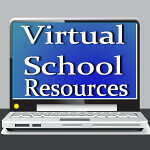 Virtual School Resources: Back to School with Famous Footwear BOGO! Don't you just love back to school time? Shopping for school supplies, clothes and shoes can be stressful. Parents have so much running around to do before kids are ready for the new school year. Famous Footwear wants to make it easy for you by offering you great brands at great prices! Famous Footwear stores are easy to shop in. You'll find hundreds of brands and thousands of styles! Because they understand parents are busy, the stores are not overwhelming. Buy 3 pairs of shoes in 20 minutes! I call that a VICTORY! Find the cool styles your kids want! That's another VICTORY! Get all this at great prices you can afford! VICTORY! Famous Footwear wants to help you celebrate this victory by offering a 15% off coupon (20% off if you're a rewards member!) + BOGO (Buy One, Get One Half Off) Not a rewards member? Not a problem! Sign up on the spot and get the 20% off! You know what I love? If they don't have the shoes I want, they order them through home delivery or through www.famous.com and have them sent to the store closest to me for pick-up at no charge! Print your 15% off coupon today and redeem it in-store between August 2-August 18th!